Most Indian Nifty traders buy options. When you buy a nifty option you need to invest money. When you sell your options money is credited back to your account. There is one interesting point to be noted. I have been in touch with many option buyers in my life and what I have seen is that most of them have much more amount in their trading account, but only use a fraction of it when buying options. Most of it lay idle in their account. Well there is good news, now you can make that money work for you and make extra cash. Let us suppose Nifty is at 5500 and you expect it to go up in a few days. 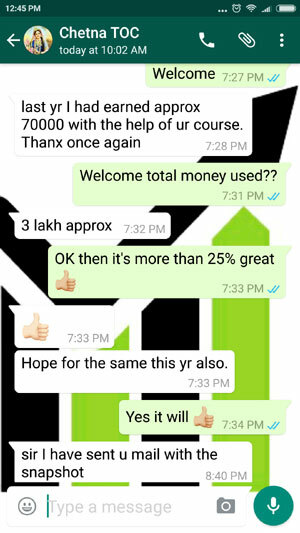 You can buy call options of nifty. Lets also assume that volatility is high, so the options are also priced high. 1. High Risk High Return Strategy: Very risky but highly rewarding. Should be done when you are highly assured of your opinion, else losses are unlimited. The strategy: You can sell one ATM put. If 5500 put is also at 120. You will get Rs. 6000.00 when you sell this put. So virtually your call comes for free. 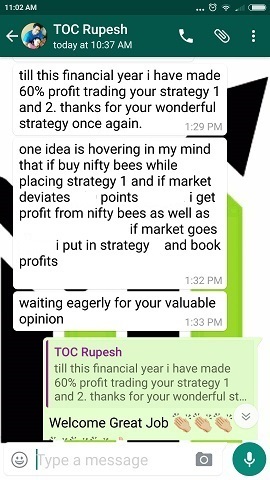 If Nifty really starts to move up, you will make money BOTH on your call and your put. Humm great, isn’t it? But what if you were wrong? You will lose money on both calls and puts. Nothing comes for free. 🙂 And remember, your losses in the put sold will be unlimited, until you cover, if nifty keeps falling. 2. 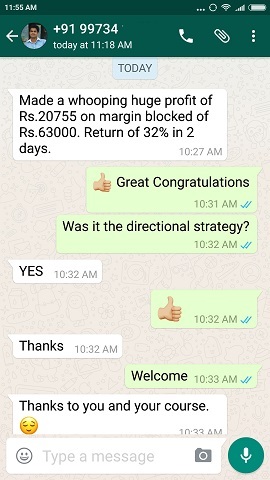 Medium Risk High Return Strategy: If you are not very sure of the nifty movement but still want to reduce the cost of your call, you can sell an OTM put. For example if you think nifty may not rise too much but may not fall too much either and will not certainly fall below 5200, you can then sell 5200 put. You may not get 6000, but you should get a percentage of it. For example if at that time 5200 put is at 20. You will get 20*50 = 1000. Your cost of buying the call will reduce by a thousand rupees. Your max loss is Rs. 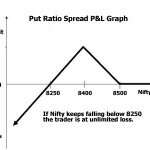 5000 if nifty does not fall below 5200. 3. Low Risk Low Return Strategy: This is the strategy used mostly by professionals. However here the returns are limited. Same view and you buy a 5500 call at 120, and to offset the cost you sell one 5600 call or a 5700 call depending on how much confident you are of the nifty movement. Lets assume Nifty is at 5500 and 5500 call is at 120, 5600 call is at 85 and 5700 call is at 45. What the pros do is this. If they are very certain of the upwards move, they will buy the 5500 call and sell the 5700 call. If they are not very certain, they will buy the 5500 call and sell the 5600 call. Can you figure out why do they do this? Ok. Let me explain. First let me explain a few things about this strategy. If nifty indeed starts to move up what do you think is going to happen? The 5500 call will increase in value, but 5600 and 5700 call will also increase in value. But 5500 call will increase more than 5600 and 5700 calls due to delta. Now the trader will make money in 5500 call but will lose money in 5600 call or the 5700 call whichever he or she has sold. 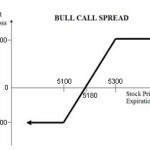 The same logic applies – the 5600 call will increase in value more than the 5700 call. So if someone has bought a 5500 call and sold a 5600 call and nifty moves up, they will make less profit than someone who has bought 5500 call and sold the 5700 call as 5700 will increase in value slower than 5600 call. Hope its now clear why the pros sometimes sell a higher call and sometime sell a less higher call. Note that the risk is reversed if the view was wrong – that is if nifty starts moving south. Since the 5600 call will lose value faster than 5700 call and the premium was also high – someone who had sold the 5600 call will lose less than someone who sold the 5700 call. When professionals are very certain, they do not want miss a great opportunity to make money. They will buy ATM call and sell a far OTM call. When they are not they buy at ATM call and sell just the next level call. 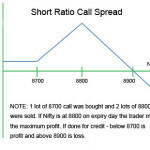 The limitations: If the view was right and if the 5500 call was bought and 5600 call sold – any move above 5600 will not bring in any money as 5600 will lose money and effectively the profits will be capped/limited. 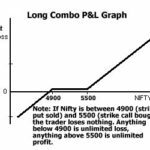 If the view was right and if the 5500 call was bought and 5700 call sold – any move beyond 5700 will not bring in profits as 5700 call will lose money. Effectively capping the profits at 5700 levels. 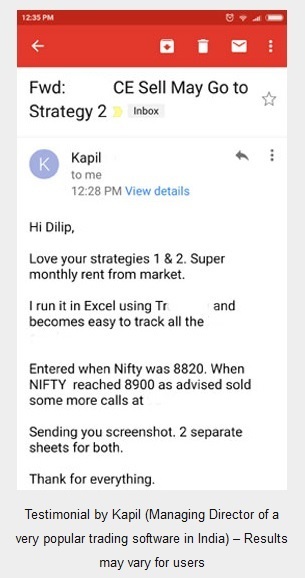 Note that the trader who sold 5600 call made less money because only after 100 points move his profits are capped, and the trader who sold the 5700 call made more because his profits are capped after nifty moves beyond 5700. Most traders will actually book their profits before a 200 point move. Similarly trader who sold 5600 call will lose less than the trader who sold the 5700 call as the premium received was more by the 5600 call seller. These are some ways by which you can reduce the cost of buying an option. And its highly recommended. Unfortunately all tips providers almost always advise to buy naked options. This may look good when you are making profits, but when you start to lose money you will appreciate the value of hedging your options bought. Limited risk, limited reward strategy will always prove fruitful in the long run of your trading business. The Best Strategy taught so far! Limited risk, limited reward strategy will always prove fruitful in trading business in the long run. Welcome Ashim, glad you liked. Please keep reading.